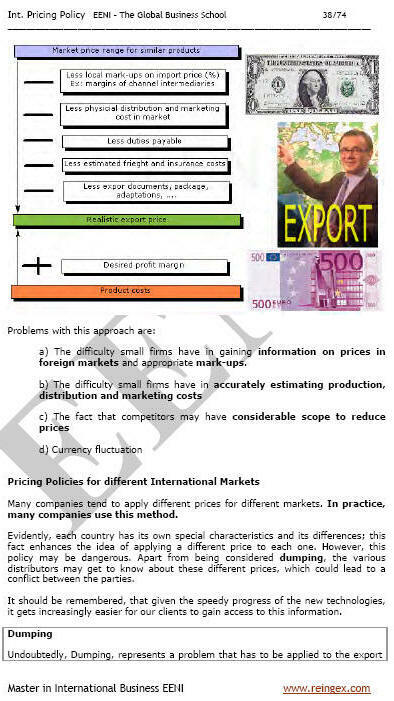 Syllabus of the Online Course (Subject): International Pricing Policy. Export prices. The main purpose of the Online Course / Subject “International Pricing Policy” is to understand the importance of an appropriate pricing strategy when entering new export markets. One of the most complicated aspects of foreign trade is pricing policy. An incorrect pricing policy can lead to total failure in international markets. First of all; we should find out about prices in various foreign markets, this information will allow us to have some real criteria for setting our export prices. However, we will meet the familiar dilemma of global or local prices. From another point of view, the price is attached to the selected Incoterm. In the more competitive markets; it is habitual to deliver the product to client´s premises, thereby offering DDP prices. In some countries this is impossible, and it will cause us problems. When designing the international pricing policy; we will have previously carried out a survey of our competitor's prices in our different target markets. We will be able to act according to this information one-way or the other. 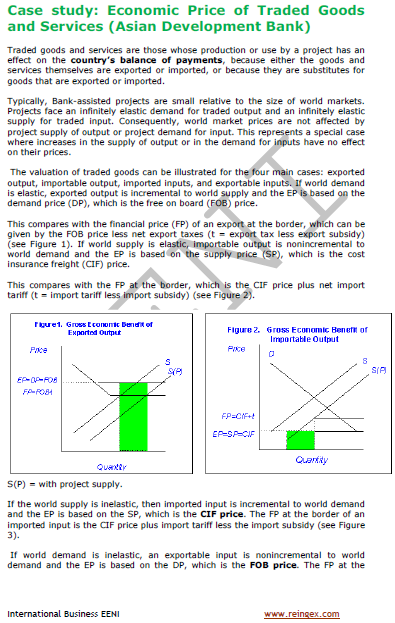 It will be a basic reference when establishing international prices. In this respect, the Internet is a valuable research tool for the exporter.